Alongside the game, the Super Bowl commercials have become a cultural phenomenon, allowing brands to create buzz and conversation around the world. 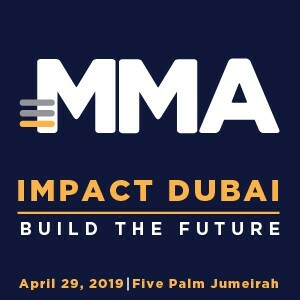 TV is undoubtedly still one of the most efficient ways to raise brand awareness, however, what really sets winners apart from losers remains the digital footprint of any campaign. Social media is, as ever, key to supporting TV-led campaigns. Social offers a cost-effective opportunity to be part of the conversation – something Avocados from Mexico did well last year when they encouraged users to tweet #AvoSecrets and #AvoSweepstakes to unlock secrets and win prizes. Over half of Eagles and Patriots fans say they use social media while watching TV, and these supporters don’t mind being exposed to branded content on their newsfeeds. They are engaged social media users, too, we know that around a third have liked or followed a brand on social media in the last month, for example. 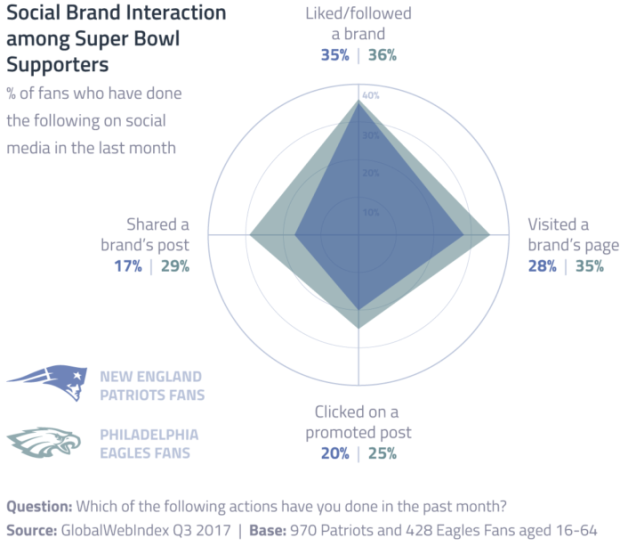 There’s big potential for sports brands to reach Eagles fans on social media, with this group more likely than Patriots supporters to be visiting branded pages and to be sharing branded content (29% vs 17%) – showing clear potential for branded social media content to spread organically during the game.